On the eve of May's full moon, Rob and I were walking the dogs along holes 17 and 18 of the neighborhood golf course when the moon rose above the tree line. It was so lovely with the reflection on the small pond that runs between the 17th fairway and 18th tee. I decided this is where I wanted to paint the full moon. Now, I know the moon rises later each night but somehow didn't think it would be pitch black when it did! We arrived around 8 pm. I sketched the glow from the sunset. We waited and waited. I took the golf cart back to the house to get my flashlight. Still no moon. Finally we saw it peeking from behind the trees. In my boredom I had started to paint the foreground, but in reality when the moon came up the only brightness in the landscape was the reflection on the water, the sky and the clouds around the moon. Here's what I got done before the bugs got too hungry. I'm working with watercolor paper that I've cut down to 7.5 x 11 inches and folded these sheets in half. One of these days I need to bind the pages together. 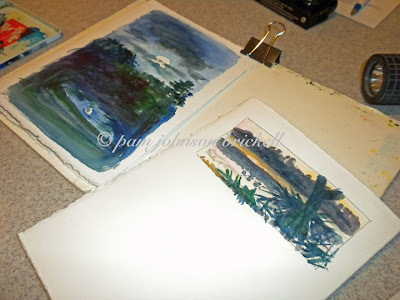 The sunset sketch is on Fabriano HP and the full moon is on Fabriano soft press. I like lettering on the HP surface the best so I kept that side free for the moon's name. All of our spring flowers have long since bloomed but I thought the traditional full moon name was appropriate with the Southern Magnolias blooming in all their glory. 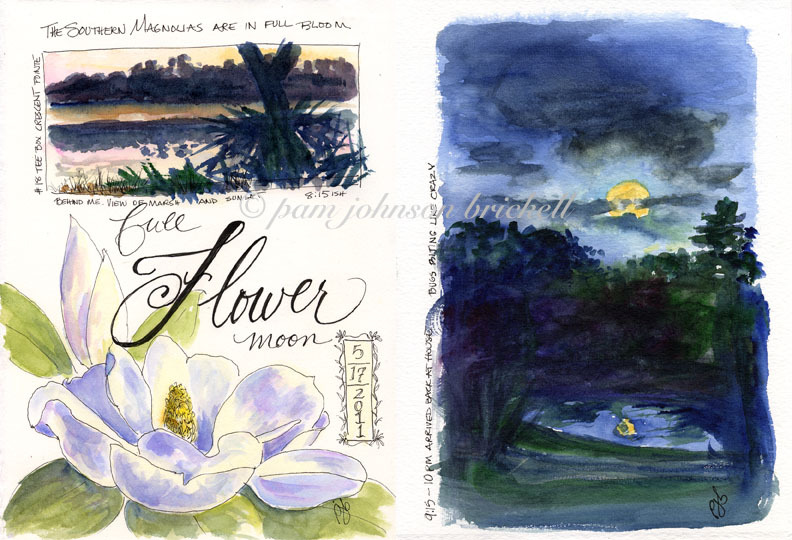 I finished off the pages today, adding the magnolia blossom and lettering. I like the picture and the "full flower moon" name. It's very evocative. Thanks, John! 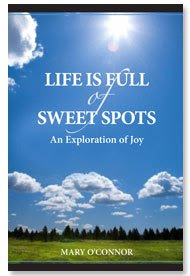 And, for stopping by :) I enjoyed your blog post about Memorial Day. Very well written.